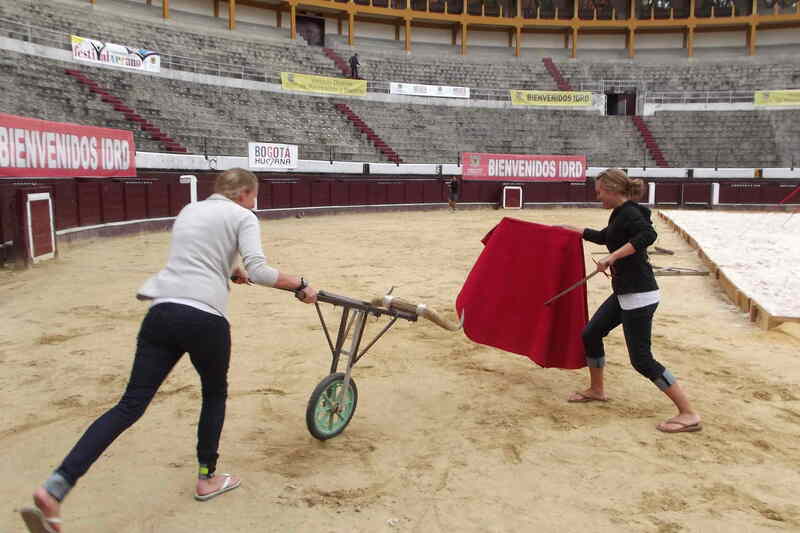 Bogotá Mayor Gustavo Petro recently decided to end bullfighting in the city’s Santamaria bullfighting plaza and transferred the stadium to the Recreation and Sports Institute, which has used it for beach volleyball tournaments. 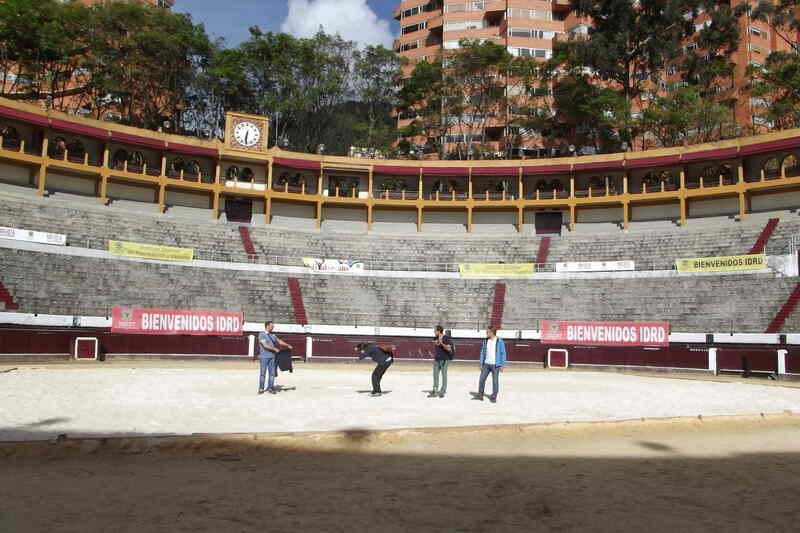 However, Bogotá’s young aspiring bullfighters continue training there, creating a new sport perhaps to be called beach bullfighting. 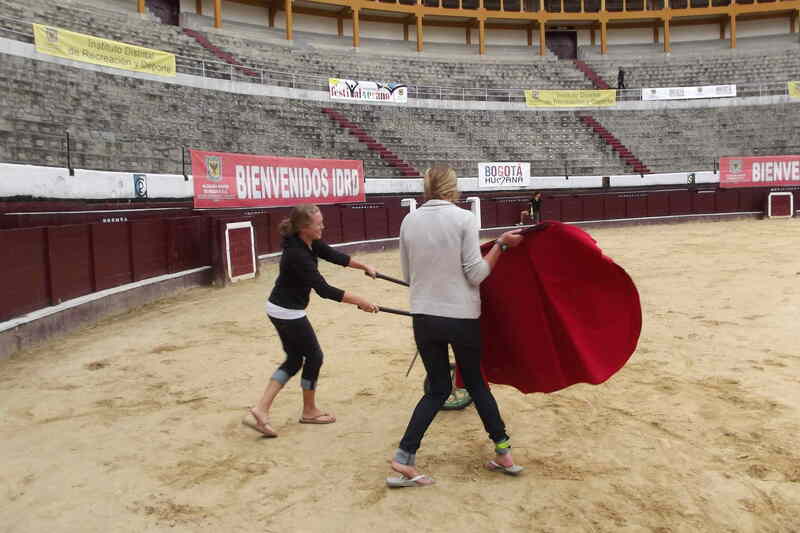 During out bike tours we sometimes get to practice being bullfighters – occasionally even using real bullfighting capes! 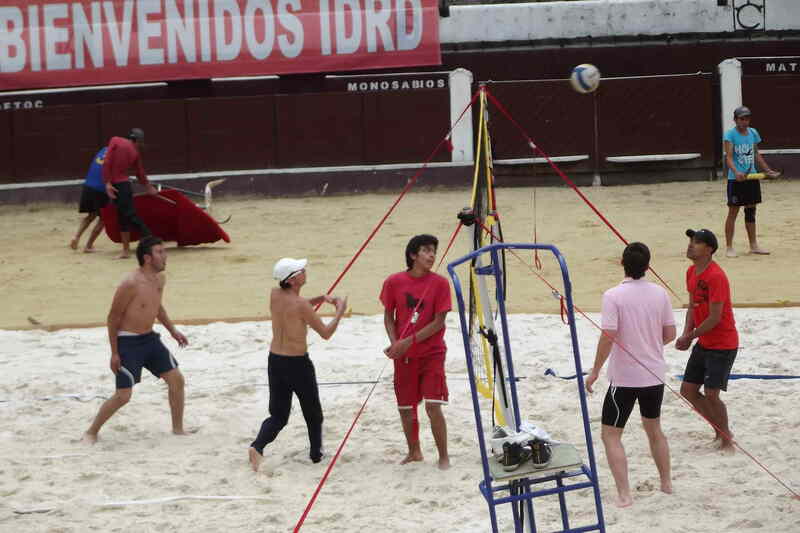 Young bullfighters try their hands at beach volleyball. Such grace! Such elegance! Olé! 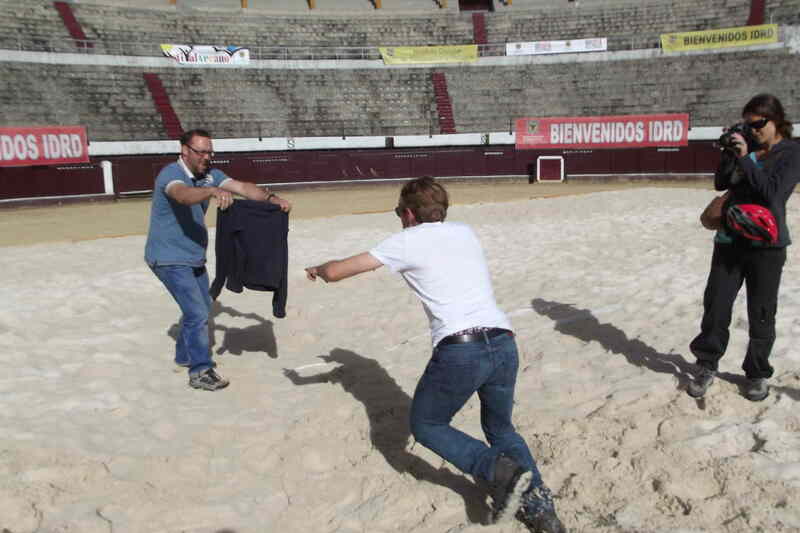 Some of us make better bulls than bullfighters! 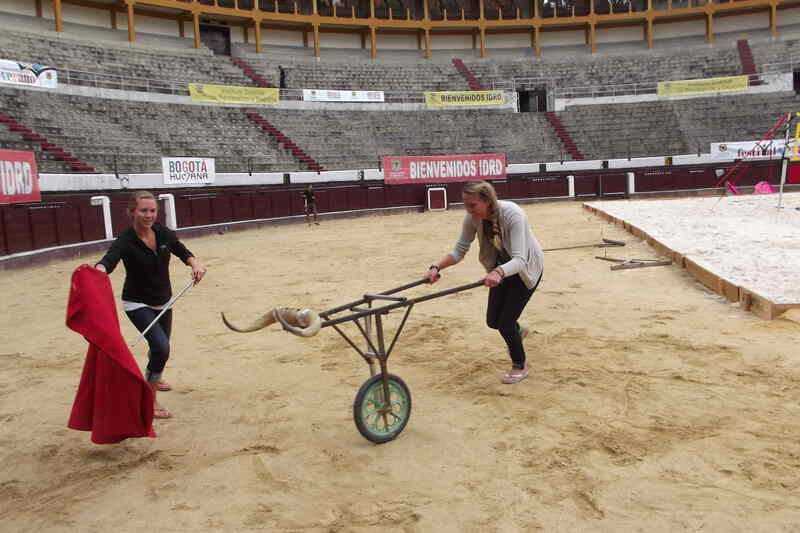 This entry was posted in Uncategorized and tagged bicycling, bike tours, Bogota, bullfighting, colombia. Bookmark the permalink.